Anthony Levandowski is an ex-employee of Google who had joined the company in 2007. Notably, he was involved in "lidar", which stands for "light detection and ranging", a way to detect objects using the principle of radar, but using light from a laser. Anthony later joined Waymo, the Google spin-off which focused on self-driving vehicles. In February 2017, US Patent no. 9582003 was granted. It had been filed in June 2016 by Ottomotto LLC and Uber Technologies, LLC. 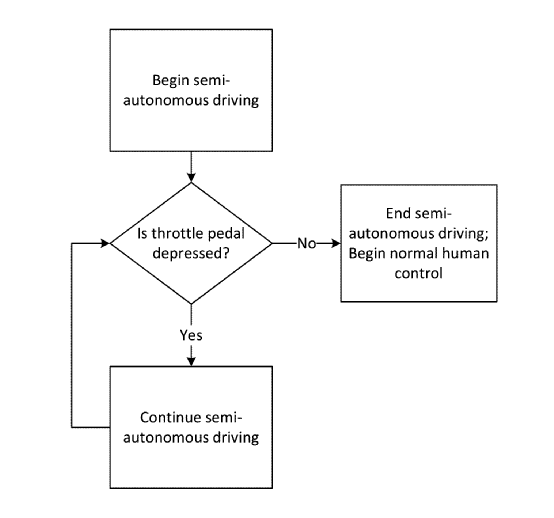 for an invention entitled "Method for maintaining active control of an autonomous vehicle". There are two inventors named in the patent, one of which is Anthony Levandowski. The other is Don Burnette. Anthony's name was an inventor in this patent which deals with self-driving vehicles. It's nothing interesting, the patent is only about how to maintain control of a semi-autonomous vehicle, i.e. the vehicle is expected to be controlled by a human sometimes. When the human isn't driving, technology takes over. When the human wants the car back, technology gives it back. But it's interesting now, because Waymo (the Google-owned spin-off) is now suing Otto (the Uber-owned company). And Anthony, an ex-Google employee, has his name in numerous patents filed by Google as co-inventor, for example, US Patent No. US 20160291134 A1, "Long Range Steerable LIDAR System". Fox Business describes it as follows: "Waymo, a self-driving car company spun off from Google, sues Uber. 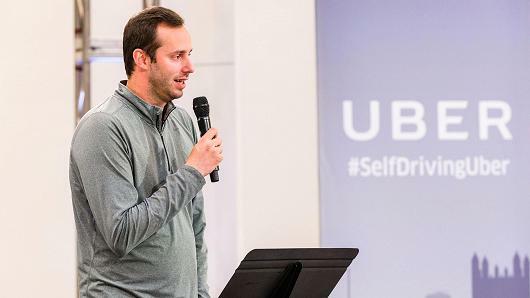 Waymo alleges that Anthony Levandowski — a former top manager for Google's self-driving car project and now the executive running Uber's self-driving car division — stole pivotal technology propelling Uber's effort to build autonomous vehicles." As the Quartz.com article (see above) states, Anthony's involvement in the whole matter is bigger than that. 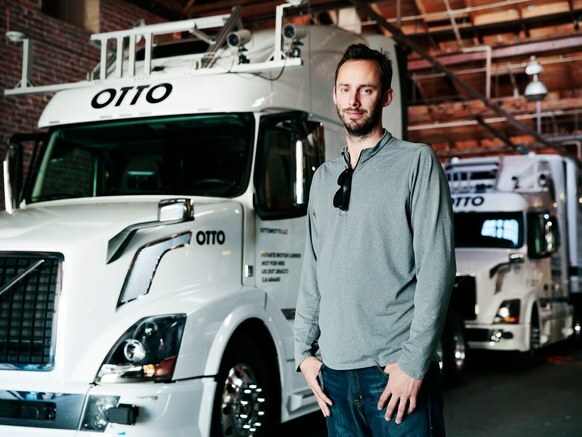 He had resigned from Waymo to form his own startup, which involved self-driving vehicles as well, called Otto. Highways are the backbone of America. They are the country’s original network, and have sparked new communities and businesses in their wake. Today, U.S. interstate highways total 222,000 miles and carry the 4.3 million commercial trucks that have become just as powerful a symbol of the American transportation system as the roads themselves. But on these highways, these very same trucks are causing an unacceptable number of fatalities every year, and truck drivers have experienced a gradual decline in quality of life as conditions worsen and expectations rise. 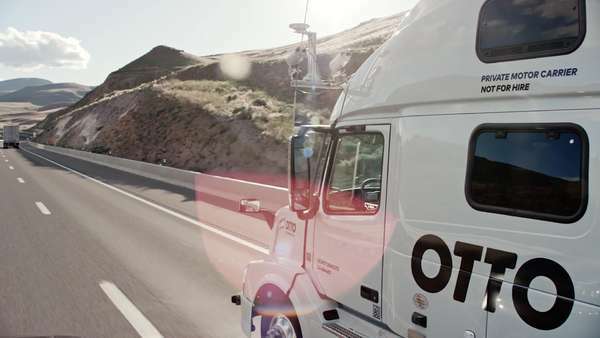 It is this that has compelled us at Otto to deliver the self-driving technology that will help transform our transportation system and bring safety to our roads. On any given day, trucks move 70 percent of all cargo in the U.S. — that’s 14 billion tons of freight annually. In the coming years, those numbers will continue to tick upwards to keep pace with our growing demand for even more goods, delivered more quickly. But what was a marvel of engineering and innovation a century ago is now no longer able to keep up with modern day demands. One in seven trucks is driving empty on the road, contributing to the severe congestion on our highways. Large trucks make up one percent of vehicles on the road but create 28 percent of road-based pollution. These issues are compounded further by the fact that highways — which we already rely on so heavily — also have a poor safety record. Over the years, we’ve become complacent about the significant toll of traffic-related accidents, especially when it comes to trucks. While trucks drive just 5.6 percent of all U.S. miles, they’re at fault for nearly 9.5 percent of all driving fatalities: in recent years, on average, eight people die on the road due to truck accidents every day. We currently lack both the infrastructure and personnel to support the surge in demand for trucking. In 2015 the American Trucking Association reported a shortage of nearly 50,000 drivers, projected to grow to nearly 150,000 by 2020. This is no small gap to fill, especially given the grueling nature of the job and the declining conditions in which the current 1.6 million truck drivers in the U.S. are expected to operate — something explored in this recent Atlantic article in detail. It’s time to rethink the way we move goods on the road. It certainly reads like a pitch, and a very good one at that. 1 in 7 trucks carries no load. Trucks are 1% of the nation's vehicles but cause 28% of its traffic congestion. Which venture capitalist wouldn't love that line of reasoning? Solve the problem, change the world. Noble thoughts. And May 2016 was also when the 9582003 patent was filed. By the next blog post, Otto's blog announced that they were joining Uber. 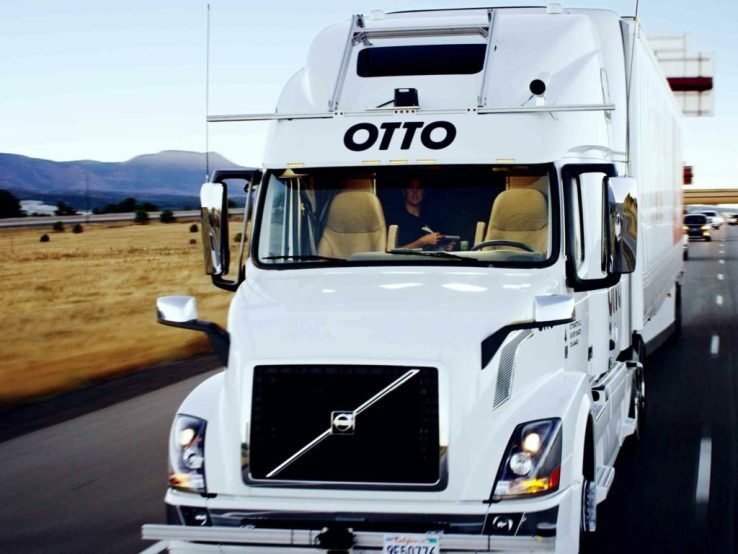 When we founded Otto, we committed to rethinking transportation. Today we are taking a leap forward by joining the Uber team to deliver on that promise. Together with Uber, we will create the future of commercial transportation: first, self-driving trucks that provide drivers unprecedented levels of safety; and second, a platform that matches truck drivers with the right load wherever they are. Things were picking up pace. Otto was going places. 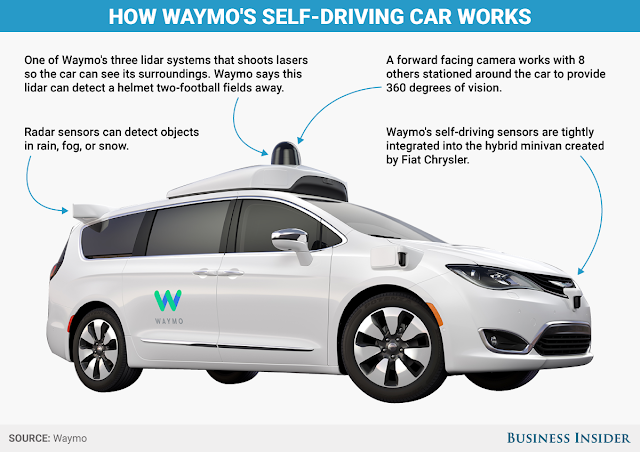 Until Waymo sued this year. There are various allegations now being made by Waymo against Anthony. In Decemer 2016, Waymo allegedly receives an email for circuit board drawings for Otto, which look remarkably like those of Waymo. With that last e-mail, it seems that Waymo became aware of what Anthony had been working on, and decided to sue. Spectrum IEEE says that the e-mail came from one of Waymo's suppliers, Gorilla Circuits, which had been intended for Uber engineers, but was accidentally sent to a Waymo employee. Alas, the pitfalls of using the same suppliers. 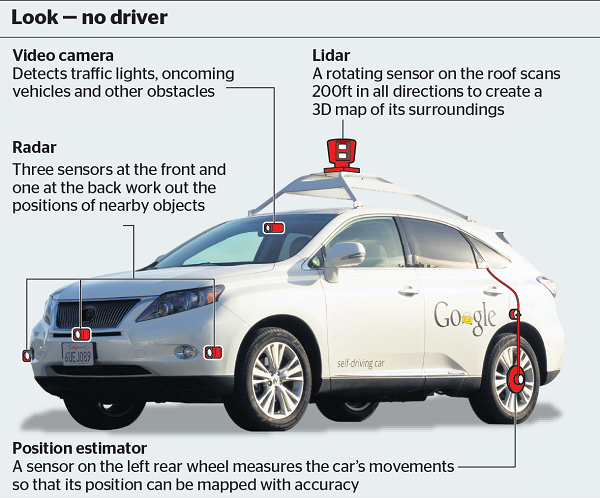 How do Google's self-driving cars work? They use "lidar", which stands for "light detection and ranging". Unfortunately, that explanation is about as helpful as a dictionary definition of blue: it won't make sense until you see it. Which means, we have to show it to you. Here's a self-driving Waymo-branded car. 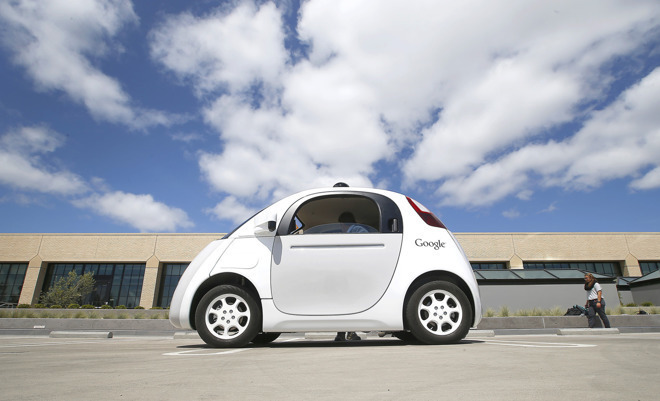 Here's a self-driving Google-branded car. The lidar system sits atop the car, always spinning like R2D2, catching objects and helping the AI to figure out where things are. Sensors around the car detect objects so that the car can avoid them. With something this big, it's no surprise that Waymo decided to protect its rights. They cannot afford to let Otto take off with the technology, even though it is applied to trucks and not to cars. (But good patents would never go so specific as to confine their claims to trucks only). The Waymo vs Otto case seems like a case of theft of trade secrets, at least the way it is being painted. However, the Quartz.com article also noted that the judge had raised the question of why the court action is against Otto, and not Anthony, as the allegations of theft of trade secrets involve Anthony's conduct. It seems that much litigation involving trade secrets is nothing more than "damage control", because the fact has already happened. So when trade secrets find their way to competitors' hands, restraining orders and injunctions seem to be the way to go, in addition to seeking criminal punishment for the culprit who stole the trade secrets in the first place. While crimes involving theft of trade secrets are punishable in the USA, in Malaysia the Penal Code has yet to catch up with this particularly heinous crime. In other words, there does not seem to be any criminal punishment for theft of trade secrets in Malaysia. This does not mean, however, that the culprit will escape scot free. 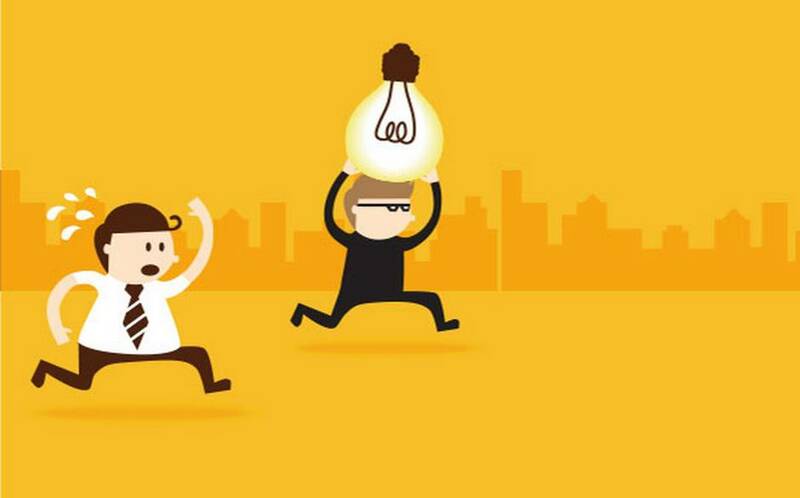 It means that the culprit can be sued for monetary damages by his employer. But when the outcome is dependent on long and expensive litigation, some companies tend to steer away from it. Who can afford lawyers' fees? This is an interesting case that warrants further study. In the meantime, I do hope that the Malaysian legislators will think about coming up with penal laws for theft of trade secrets. WIPO, the World Intellectual Property Organization, has a tool that's available for free, called PatentScope. With this tool, it is possible to search prior art patents from multiple databases, which many inventors pay professionals to do. You could think of PatentScope as a tool for researching prior art. But it could be more than that, too. A long, long time ago, when mankind first started to digitize audio into computer formats, they used wave files, which typically sported the extension "WAV". These wave files stored audio faithfully, while preserving their values, but required great amounts of storage space, as they were typically quite large. Music became more and more commonly digitized. I remember ripping CD's using nothing more than a personal computer and a CD-RW drive. It made it possible for me to store quite a bit of my CD collection in my old desktop computer (which sadly, has figuratively died and gone to computer heaven). It was a wonderful time for young people who loved music; so much so that they began swapping CD's and ripping each others' CD's into their own computers. But then, the dark days came. Napster began as a peer-to-peer (P2P) file sharing service, enabling people to share the music files that they owned, with their peers. Normally, this would not be controversial, as friends often do swap their books and CD's. The problem was that copyrighted material was now digitized and shared with the whole wide world (commonly known as "WWW"), thus leading to a loss of music CD sales. 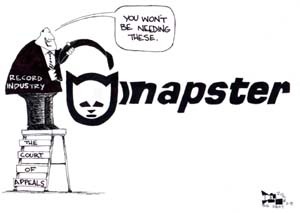 The music recording industry panicked, and launched an all-out attack on Napster and its ilk. Other services, such as Audiogalaxy (which I used), were targeted as well. A new threat was identified: Torrenting, which continues to this day. The music industry mourned the demise of its glory days. The courts meted out heavy fines and penalties. Young and old, men and women who shared songs like "Happy Birthday" and "Merry Christmas" on their hard disks soon found themselves facing the long arm of the law. Sharing got a bad name then.